Edited by Jennifer Erin Salahub, published in 2011. In September 2010, a working level policy roundtable was held in Ottawa, titled: At the Margins of Security Sector Reform: Gender and Informal Justice. NSI co-hosted the event with the Centre for International Governance Innovation. 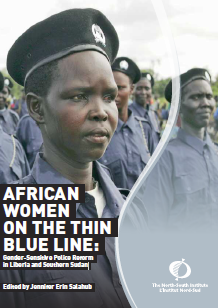 The gathering provided the opportunity to draw lessons from female police officers and civilians from conflict-affected South Sudan and Liberia on their experiences with police reform – reform that is widely considered integral to building lasting peace and security. CIGI produced a report of the roundtable. 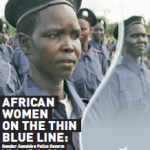 Gender and Police Reform in Southern Sudan – Bringing a Gender Perspective to SSPS, by Victoria Elia Guli, September 2010. Police Reform in Liberia – Bringing a Gender Face to the LNP, by Caroline Bowah, September 2010. Police Reform and Gender in West Africa: An institutional perspective, by Kristin Valasek (DCAF), September 2010.